I like a company with a good story – and I found one in Yala. Yala offers a complete line of stylish products for men, women, children and the home. Around since 1996, Yala is a company that commits itself to the environment and the vulnerable people of this world. With their time, money and products, Yala supports organizations around the globe to alleviate suffering, poverty and oppression. They are committed to using natural resources in the most efficient way possible and are a certified Green Business. Yala is a company that you can feel good buying from – of course it doesn’t hurt that they sell beautiful quality merchandise! 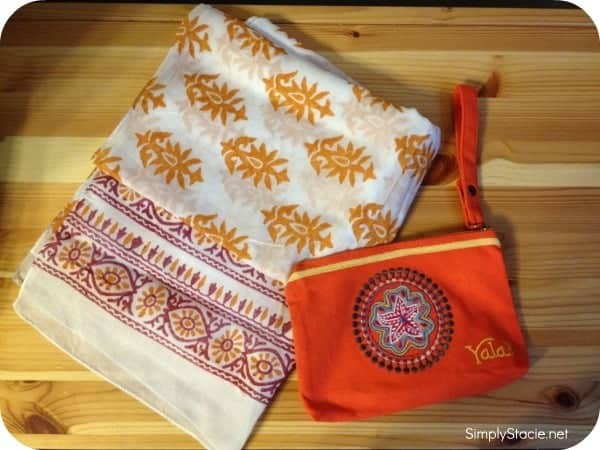 I received three wonderful products from Yala for review. 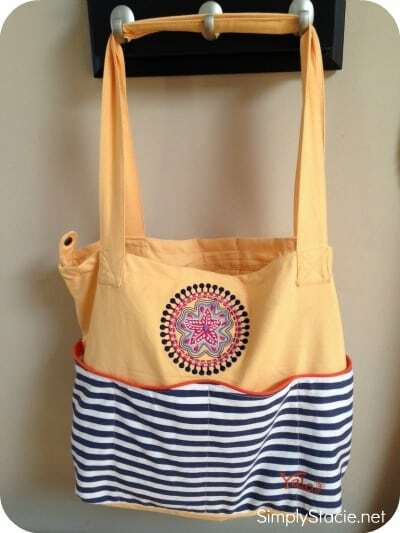 The first is their Organic Cotton Mandala Tote in marigold. 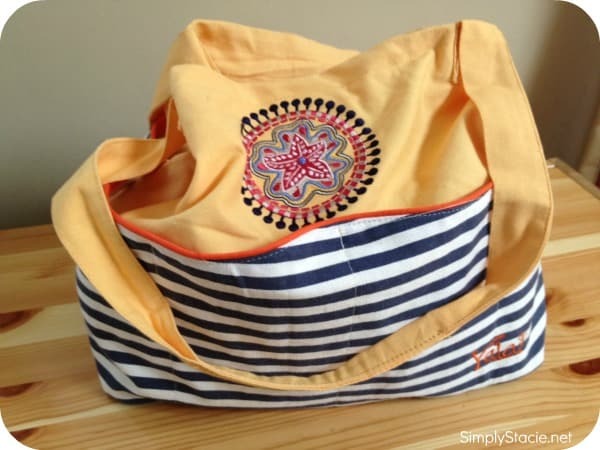 This bag is the perfect summer bag for me – it’s roomy, lightweight, durable and stylish. There are four outside pockets on this bag, which I found great for holding my kids’ sippy cups! The bag is big enough for me to use when out and about with the kids – plenty of room for their snacks, diapers and wipes. I like being able to carry a bag that can accommodate my stuff as well as everything I have to haul around for my two boys. The Mandala Tote retails for $46. The second item I received for review is the perfect accessory for the Mandala Tote – the Organic Cotton Mandala Clutch in poppy. This clutch is large enough to accommodate my iPhone, my keys, money and credit cards. It was perfect for throwing into my Mandala Tote. It kept everything I need for me in one neat place. This clutch retails for $14. The third item I was fortunate to receive is the Handmade Block Print Scarf in tangerine. These scarves are handmade by at-risk women in India who are now able to support themselves by creating these wonderful products. The scarf is lightweight and perfect for dressing up jeans or any casual summer outfit. I think it’s a wonderful accessory piece for a lightweight summer dress for more formal occasions. These scarves sell for $36. You can see the full line of Yala products on their website. You can buy directly from their site, or from one of their retail partners. Yala is offering all Simply Stacie readers a one-time 20% discount – just enter SIMPLYSTACIE20 at checkout. I like the Bamboo Dreams Luxury Silk Bedding. I love the Cashmere Scarf!